Chapter Nine – You Want To Do What? This chapter really starts way back in Detroit, Michigan in 1982. 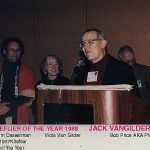 I was attending my first American Kitefliers Association National Convention, with Lee and Anita Hoover, Charlie Sotich and John Karel. The Chicagoland Sky Liners Kite Club was brand new that year and I was in awe of the huge collection of “famous” kitefliers at the Convention. (Huge meaning only about 150 fliers!) It was the coolest kite event on the planet and I decided right then and there that we just HAD to have an AKA Convention in Chicago. For the next six years I talked to everyone I knew in Chicago about hosting a convention. Most thought that it was much too big an undertaking for such a new club. AND hosting a convention is a lot of work! Where would we do it? Who would do it? How would we do it? Lots of questions, lots of angles to figure. At the AKA conventions I attended during that period, I talked to many people, and I urged every Sky Liner I knew to attend the annual event, no matter where it was held. They Paid How Much For That Case Of Beer? All AKA Nationals host an annual auction to help raise funds for the support and operation of the organization at every Nationals. 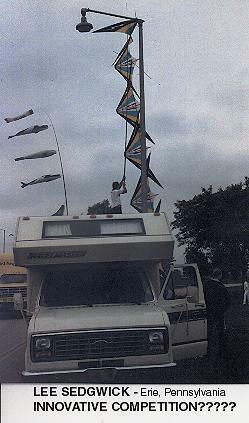 In 1985 the kite club from Ontario, Canada arrived at the AKA auction with a very unique item for bidding. The item was listed in the auction list as “The Canadian Kite Anchor”. We all anxiously awaited the appearance of this kite anchor. The Canadians were a real party crew. 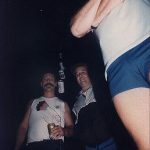 They arrived on stage with a case of Grizzly Beer which had a rope wrapped around it, to which was attached a carabiner. … “The Canadian Kite Anchor!” For those of you that have never attended an AKA Auction, it can get pretty rowdy and very silly. Bidding for the case of beer became a contest between two clubs. I remember Corey Jensen, Rick Kinnaird and Brooks Leffler were involved in that bidding. (They were three of the more “silly” bidders at any AKA auction.) 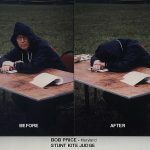 Actually, I think Rick Bell of early Hyperkite fame won the bidding. The case of beer and the hoopla in auctioning earned the AKA about $125, and an idea was born. Get Your Hands Up And Give Me Your Money! The AKA liked the idea of a “gag” auction item like the Canadian Kite Anchor. So, they told everyone that they would like to see a kite anchor from clubs and kite groups to be auctioned off at the Newport, Rhode Island Convention. They wanted the anchor to be representative of the group that donated it. They wanted it to be unique and they hinted that it could (should) be as silly as the Canadians’ Anchor. 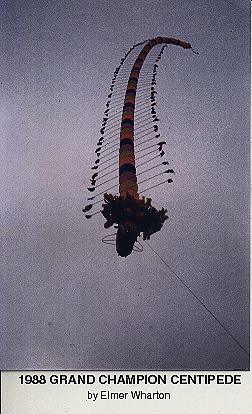 The Chicagoland Sky Liners discussed this anchor for several club meetings. We even allocated club funds and had an anchor committee to work on the idea. 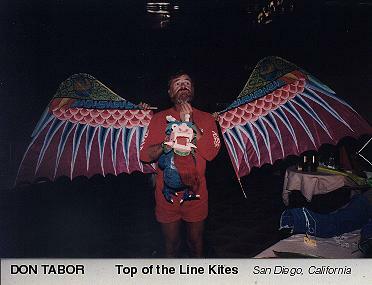 At this point in kiteflying history, the Sky Liners were quite a group. We regularly had 15-20 members attending the Annual event. We were very involved and very silly. The Chicago Bears had just won the Super Bowl and some of us thought that it would be a great idea to say something about the Bears in our anchor. There was this huge guy on the Bears; I forget his real name, but his nickname was “The Fridge”. People scouted out plans to purchase a used refrigerator for our auction entry. No kidding, we were going to buy one from a used appliance store in Rhode Island, paint it to match a Bears football jersey and try to auction it off. Needless to say the “Fridge idea” had a few flaws. Elmer Wharton finally came up with an idea that would become the trademark for both the Chicagoland Sky Liners and for the 1988 AKA Nationals that would eventually be held in Chicago. Elmer suggested that most, if not everyone, thought of gangsters when they thought of Chicago, and why didn’t we base the Kite Anchor on a gangster theme? Elmer suggested that several of us dress up in roaring 20’s outfits like the mob would have worn. He would take a pair of old combat boots and fill them with cement. Tie them together with a rope and this would become the “Cement Gym Shoes”, our entry for the kite anchor auction. Elmer Wharton dressed in a suit that he probably bought in the 20’s and became “Louie, the Hit Man.” Jim Miller (soon to be AKA President) wore a black suit, black shirt and white tie and became “Diamond Jim”, and I wore a trench coat and became “Big Al, the thug” We even got hold of replica guns from Stanton’s Hobby Shop. We had several 45 replica pistols, and of course we had a Thompson Machine Gun replica, for what mob would be complete without a “Chicago Typewriter”? You wouldn’t believe the trouble I had when I got stopped by a Pennsylvania State Trooper on my way to the convention with a submachine gun in my trunk – BUT that’s another story altogether! The concept of the “Gang from Chicago” was born. By 1986 the Sky Liners had a very large and experienced group of AKA convention attendees. At one of our business meetings we decided to host an AKA Convention. We all took jobs and positions to accomplish that goal. We set our sights on 1988. We all knew that two years of preparation would be necessary. Each of us assumed areas of responsibility for tasks at the Nationals that matched our civilian job skills. For example, Dorothy Wolff assumed the Food Services area, as her regular job was arranging and starting up restaurants. I assumed the responsibility for Printed Materials, ‘cause that was my regular job. Pat Daly assumed the Auction responsibilities, as she had already worked on several at previous Conventions, and so on. This idea of matching skills worked out very well, and we compiled a list of about twenty-five active and enthusiastic club members for the different tasks at hand. BUT the main task and the “King Pin” that would really make the Chicago Convention one of the very best ever was the choice for Convention Chairman. 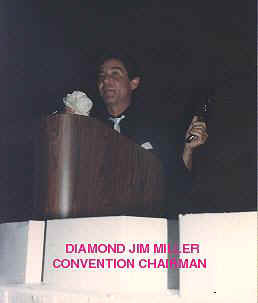 The “Windy City ’88 AKA National Convention Chairman” would be none other than “Diamond Jim” Miller. 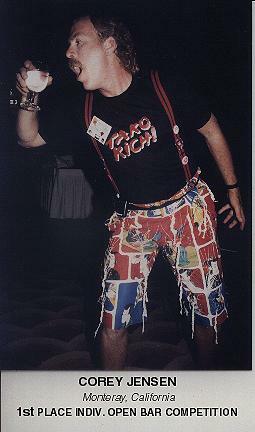 One of the best things that the “gang” from Chicago did to help them put on a great convention was to attend a lot of other people’s conventions. I remember the Nashville Convention of 1986. There were 26 Chicagoland Sky Liners in attendance at that one. At one point in the event the “Mob” from Chicago so filled the Headquarters Hotel Bar that no one else could get in. We were a pretty strong and active club in those early years. 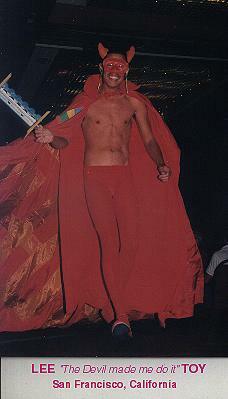 Every convention evening the CSL club president would announce the Club Uniform of the Day. We would all arrive at the next day’s events with the same color Sky Liners Club T-shirts. 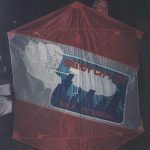 In 1987 the Chicagoland Sky Liners were active in every area of responsibility at the Washington, DC convention. This allowed all of us to practice our duties for the Chicago Convention. We also were able to observe what did and didn’t work at the Nationals. More importantly, we were all able to learn exactly what all the convention attendees really wanted out of their national gathering. Everyone was always complaining that kitefliers never dressed up for the AKA banquet. 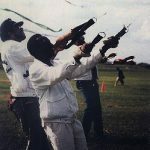 So at the ‘87 Nationals all the Sky Liners arrived at the banquet with black screen printed “tuxedo” T-shirts. They were the kind of kitefliers that the nation would be dealing with when they arrived in Chicago the following October of 1988. Chicago is a city known for famous and infamous names. Carl Sandburg called Chicago, “…the city of the big shoulders…”. Some people call Chicago the “Windy City” though that usually refers to our politicians, rather than our weather conditions. Chicago’s famous names range from Al Capone and John Dillenger at one extreme, to Mother Cabrini, the first American saint at the other. We have the tallest building in the world, the Sears Tower and the largest Post Office building in the world, though that probably means there are more places for your mail to get lost. The Atomic age started in Chicago with the first sustained nuclear reaction at the University of Chicago in 1942. We boast the first traffic lights and the first traffic jams. After that we invented the first parking meters. Though we claim the title “Windy City”, we really aren’t the windiest (about 10th or 11th in the nation) All Madame Booga Booga (NOTE: CSL’s Pat Daly in her alter ego) the event’s weather coordinator promises you is weather (whether or not); she makes no prediction of wind speed. The weather magic she and the Windy City Wizard (NOTE: My alter identity) are concocting is not yet finished. Great things are in store for the 11th annual get-together. As you may have noticed, an extra day has been added to the convention (NOTE: This is the 1st convention to host a four day event, also the first AKA Convention to be held separately from the annual Kite Trade Association Convention). 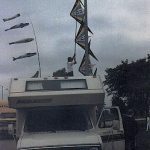 There will be a wide variety of challenges and special activities at Windy City ‘88 thought up by the Skunk Works secret testing facility in Chicago. The Costume challenge is sponsored by Flexifrog, the Club challenge sponsored by the Chicago Fire Stunt kite team and many more . . . . .
John Karel, who located a great field and hotel, accomplished the first and most critical task. We had decided that this would be the most important decision we could make concerning Windy City ‘88. John found a large site in Schaumburg, Illinois which is about a half hour’s drive from the center of Chicago. This was a pretty easy find for John as the site was about 1/4 mile from Ned Brown Woods, a regular monthly flying site for the Sky Liners. There was about 830,000 square feet of flying field just a five minute walk from the four star Hyatt Regency Hotel, along with the two square miles of fields at Ned Brown. Our Convention site was secure. Diamond Jim and the hotel committee got to work on the hotel, meeting rooms, banquet facilities and accommodations with the Regency staff. Jim Miller is a very precise kind of guy, but he let each of us in our own committees work with our own ideas and at our own speed. Jim periodically checked with each of us either in person or by phone to see how our specific tasks were going. He would suggest directions to go with problems we encountered. He also gave us that needed little shove when we fell behind in our duties. In my own case, as Minister of Propaganda (Convention printed material committee), Jim periodically gave me copy to be included in the event program. He collected this “stuff” from other committees. I collected artwork from the competition committee for judging and score sheets. I got stuff for the Auction and workshops as well. I was also in charge of T-shirt production and the production of the convention patch and pins for sale. The Chicago Convention needed a logo. Previous conventions held a contest to pick that year’s logo. I “sort of” cheated here. 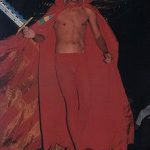 I had a logo prepared in 1985, three years before the event. I had such a good presentation of the Windy City ‘88 logo that no one could refuse my submission. 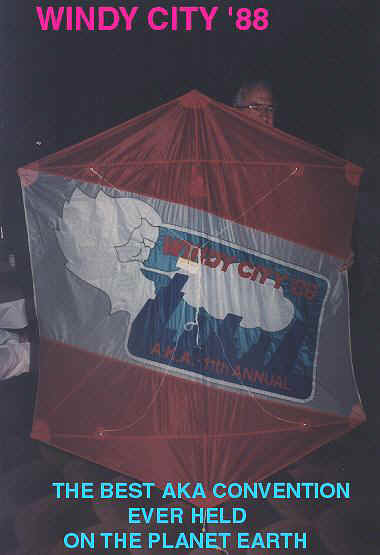 The “Windy Guy Logo” became the convention’s official symbol, the first and only AKA convention logo to date that didn’t have a kite on it. At each of our weekly meetings we would hear reports from each committee head. I knew an awful lot about the inner workings of the coming convention. I had flown and practiced on the actual flying fields. I had already walked the halls of the convention hotel. I had stayed overnight in the actual room I would use at the Nationals in October. I even had gotten drunk in the hotel bar. HEY! Why am I not excited about “MY OWN” convention? This is getting kind of boring. No surprises, no anticipation, no excitement as the final day approached. WOW! This is not what I expected to feel about a convention in Chicago? Well, here I am in the lobby of the Regency Hotel. Pat Daly, Lois DeBolt and I are watching several Sky Liners finish the spectacular kite display being hung in the atrium of the hotel. It looks pretty good, too! One of Elmer Wharton’s centipedes is up there along with a beautiful kite train of Dave DeBolt’s, also several really big single kites. I am still pretty depressed about being so familiar with the nuts and bolts of this convention, and am anxious to get it over with. This is turning out to be no fun at all! I look over towards the hotel entrance and see Robbie Sugarman from New York coming in. Hey,Robbie is here! As I move to greet him, I see Top of the Line Kite Team, Don Tabor, Ron Reich and Eric Streed checking in at the desk. Then I look behind me and see Bob and Jewel Price from Maryland, then Adrian Conn from Canada. I see a huge group of Japanese unloading baggage from an Airport limo out front. NOW it feels more like an AKA Convention, but wait a minute, wasn’t I really depressed just a little while ago? It suddenly dawns on me that an AKA Convention isn’t rooms and fields and bars. It isn’t T-shirts, patches and printed programs, it’s PEOPLE. As the AKA members begin to arrive I realize that I am at an AKA Convention. A convention that is in Chicago, my hometown. “My Convention”. THIS IS GOING TO BE GREAT. I am one of the hosts for the biggest and what will be the best kite party ever held on the planet earth. Windy City 1988. Pam Holbrook, my partner from Columbus, Ohio arrives today. I will be going with her to O’Hare airport to pick up several convention guests. The Sky Liners have hosted a Welcoming Committee at the airport for the last four days. Sometimes we would drive kitefliers back to the Convention hotel, but frequently we would just meet and greet the out of town (and out of the country) arriving kitefliers. You Mean You Made That Kite From Scratch? 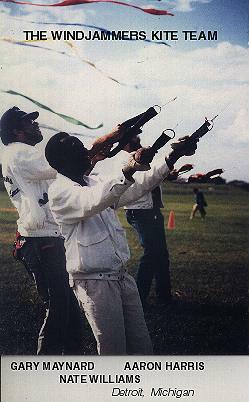 The 1988 kitemakers competitions saw a new and never before used Rules Book for the event. This new booklet was engineered by Kathy Goodwind, Charlie Sotich (and unlikely as it might seem, Al Hargus). This book listed many items that were new to the contestants. Many procedures were adopted and most all of them are still in use to this day. The use of the new book seemed to challenge the kitemakers to excel. The level of kite making quality always amazed me at past conventions, but this year I could not believe my eyes. I hope to let many of the pictures included speak for me, but I have to talk about a few. To show you how far back in time we’re talking here, there was no such “thing” or name called “Sport Kites” The U.S. rules book was only in its second edition and pretty flimsy. Graphite was something that came inside pencils and we were all flying with Kevlar lines. Winds at the Chicago Nationals were up and down between events and sometimes between individual fliers in an event. BUT this is the Grand Nationals. You either have the “Right Stuff” here or you wait until next year. Mike Keating of Columbus, Ohio was the event coordinator, and in the words of Sue Taft, one of the top contenders for Open Class individual events, ” … this is one of the most well organized events I have ever been to…” Sue, of Erie PA. finished at the top of the Open Precision list. 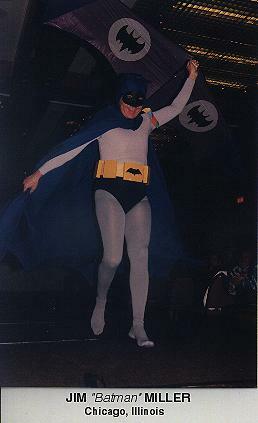 (Some local guy name of Al Hargus took fifth place in that field of fifteen), Ron Reich of Top of the Line Team fame won the Open Individual Ballet event. 1988 was the first season that held the new Innovative Competition Category. 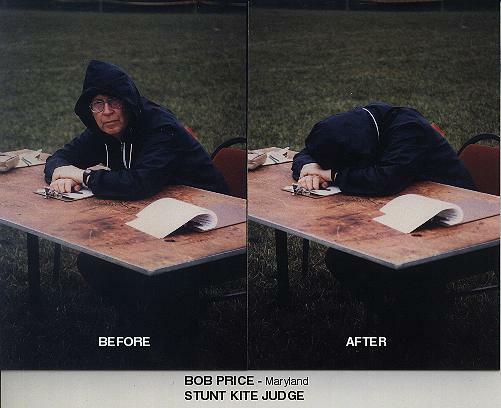 Prior to 1987 Individuals were allowed by “incomplete” stunt kite rules to use ground hardware, as in the case of Lee Sedgwick’s famous “Lady in Red” routine where he used a dog stake and flew next to his kite down field. 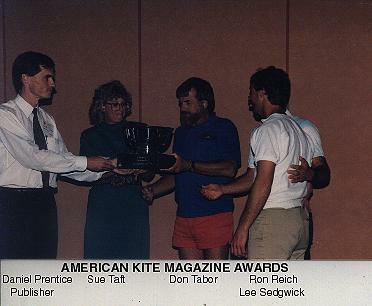 Or the spectacular two kite routine flown by Ron Reich. The new rules are different in 1988. The Innovative Category would include seven of the best fliers that the sport could offer. I knew what was going to happen out on that field in many of the more exciting events. So Pam Holbrook and I volunteered to be Field Director and Pit Boss for several events months ahead of time. We had worked as a team before and it’s a really great way to volunteer for an event and still have time with your partner. The sixth place flier for Innovative was Phil Castillo from St. Augustine Florida. Phil was the underdog for this event, having had bad luck with his Innovative routine the entire season. (Phil would fly his kite blindfolded, Tai Chi fashion). Phil entered the field hidden in a large trench coat. The Mystery flier? Phil got “almost” all the way through his routine, when he falls to the ground and then cries out in pain. We all, including Al Hargus who was ten feet from Phil, thought it was part of the act. Phil’s partner rushes onto the field to him. Phil really had an aggravated injury to a leg muscle! Phil had to be taken from the field on a paramedic stretcher, and spent the rest of the event in a wheel chair. A valiant effort from the guy that helped us all to know what it’s like to fly in life’s skies, blind. 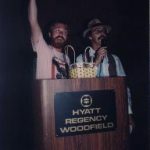 Being the “prepared” guy that I am, I was also the Field Director for the Open Team events at Windy City ‘88. My old team, The Chicago Fire, was back to a three person team so this was the first Nationals I would not fly with Eric, Dorothy and Frank. Top of the Line was ready to “get even” with the Fire as Eric and the gang had beaten TOTL for the first time several months earlier. Little did either TOTL or Chicago realize that Hawaii had sent their best. Team Elite and Team High Performance were not the favored teams going into the event, but they looked really impressive in practices earlier that week. One of my on field highlights was from a team that strangely enough came in last place. The Windjammers from Detroit Michigan are noted for their beautiful trains and tails routines. There was not enough wind and the ‘Jammers were flying winged kites. Gary Maynard, Nate Williams and Aaron Harris moved onto the field. The sun was blazing right into our eyes as we looked at the kites. Aaron had no sunglasses and couldn’t see a thing. Gary, the team captain, had to tell Aaron not only when to turn but where. These three fliers had a great time, and laughed and joked throughout their entire routine. “Last, who cares,” said Nate, “We had a good time and it was fun.” The Windjammers are still flying and competing to this day. Just goes to show you that winning doesn’t make a great team. Hawaiian Punch (Vern and Sue Balodis, Pam Kirk and Mike Dennis) from Columbus, Ohio led off the team flights and had wind problems. They should have protested. Team High Performance were the hands down winners of team events. They did have the best winds of the day, but they also had the best routine. Sometimes teams make their own luck! 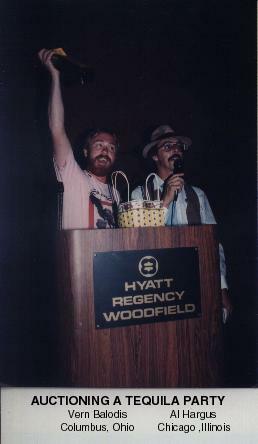 At the Newport Convention in 1986 Elmer Wharton and I hosted a Costume contest. Kite and Costume to match. It was pretty successful. So Elmer and I decided to have one at Windy City ‘88. No one in the Sky Liners took us or the event very seriously, but it was scheduled and Elmer and I made plans. Jim Miller booked a small auditorium room for the event and Elmer and I prayed that we wouldn’t be the only two to arrive with costumes. About an hour before the scheduled start of the event we started seeing strange things in the halls of the hotel. People in striped prison suits, Batman costumes and other “alien” outfits. The auditorium was filling up fast. Twenty minutes before the events scheduled start there was standing room only. Oh my God! What if no one else shows up? I should have remembered that these were Kitefliers we had invited. I knew that the Costume Challenge was going to be a success when Kathy Goodwind came up to me and asked if I had score sheets. There were finally about twenty contestants and the event was the sleeper success of the convention. Everyone had a great time watching or participating. Ted Nix scooped up first place with a striped kite, a prison suit and a teddy bear in stripes, all of which matched. I asked the hotel staff after the event if they thought the Costume Challenge was strange. They said that they had a Science Fiction and Comic book convention about a month before and everyone dressed up for that event. So kitefliers really aren’t as strange as I thought. Dorothy Wolff really outdid herself with the banquet and all the food services. My Mom didn’t cook that well. The Sky Liners added many suprise extras to the dinner and meals. We hired a magician and he wandered the hall doing magic and entertaining while we all ate. We had a huge selection of food to choose from. There were at least seven different ethnic food choices at one of the meals. 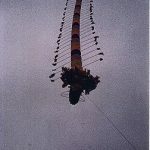 This was one of the really fun parts for many of the Chicagoland Sky Liners, including myself. We were so busy for the last three months getting ready for the convention in our own areas that we arrived at the banquet, just as suprised at the spread of food as anyone else. 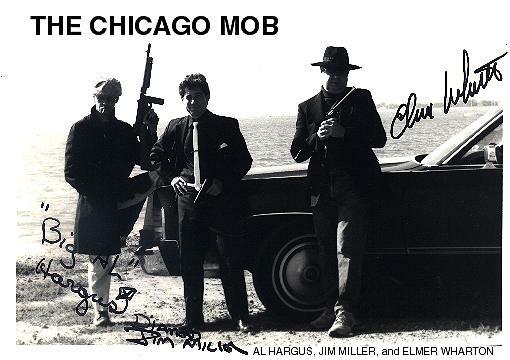 Many of the Chicago “Mob” dressed up in gangster style costumes. By coincidence the hotel even had a 1940 Ford Roadster parked in the hall right outside the bar. So we even had a gangster getaway car. I dressed in a very strange costume – I wore a suit (Which is something that no kiteflier ever saw Al Hargus in). Complete with fedora and a fake scar. I had with me my gun packing Gangster Moll “Trixie” Holbrook. I have never found out where she dug up that Roaring Twenties Flapper dress! The AKA Auction was way beyond weird. The Sky Liners all sat in one corner of the hall and pooled their money for “Team Bids”. I still have partial ownership and flying rights to kites bought at that auction. The Auction went perfectly and well over $25,000 was raised to help support the American Kitefliers Association for the next year. Vern Balodis from Columbus, Ohio and I got very out of control when we auctioned off a “Tequila Party” complete with a fifth of Tequila, Lemons, Shot Glasses, and salt. But then again Al had been out of control for the entire convention so why should anything be different at the end? 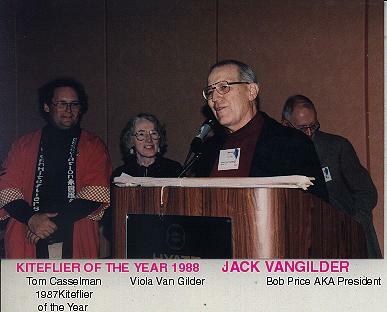 Jack Van Gilder was awarded the “Kiteflier of the Year Award” for his outstanding service and dedication to kiteflying. A perfect recipient for this most honored award. 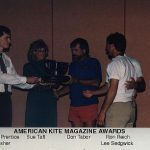 The American Kite Magazine was new to kitefliers in 1988 and Publisher Daniel Prentice awarded many trophies for outstanding fliers in stunt kite competitions from the 1988 flying season. The Best Aka Convention Ever Held On The Planet Earth! So I guess that I’m a little prejudiced about Windy City ‘88. It was much more than I ever expected. More than I ever hoped. All areas turned out perfectly, despite some rain on one of the field days. We had many more spectators than we could handle and we had kept the event a secret from the 3.5 Million people in Chicago. If we had better and more field security we could have had hundreds of thousands of spectators. 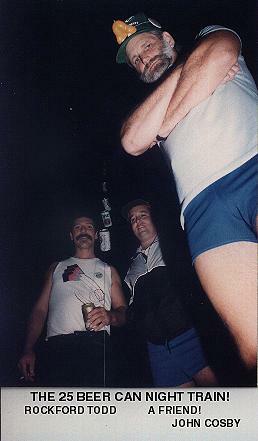 The kitefliers’ attendance topped four hundred registered participants, a record that ranks in the top three of all AKA Conventions ever held. We raised more money for the AKA through many projects and the auction than any other up to 1988. We held more events and challenges. Windy City ‘88 was and still is the benchmark for AKA conventions. 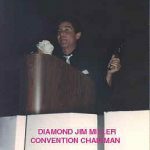 Jim Miller created a convention plan that is still used to this day. Jim was the first to put much of the procedures on computer. 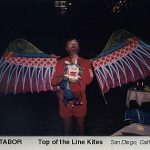 Many of his outstanding efforts carried him to being one of the best Convention Managers that the American Kitefliers Association has ever had. Personally, I have never had a better time at any AKA Nationals before and since. AND I have been to ten other conventions all totaled. Some of my enjoyment was being on the inside of years’ worth of planning. Some of it was spending the convention with very special friends. Some of it was just the fact that I helped to host an American Kitefliers Association Convention in my hometown. It allowed me to introduce kiteflying to many of the people in Chicago that I knew would never go to an AKA Convention anyplace else. I hope that I have been able to share a little “Taste of Chicago” with all of you through this Chapter. 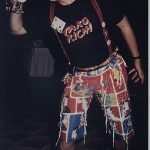 If you were at Windy City ‘88 I hope that this article brought back some pleasant memories. I know that in writing this Chapter, I remembered someone special from way back when and have renewed an old friendship just because of my own article and I guess that this is really what Tangents and Trivia is all about – Memories. OK everyone is probably wondering where Al Hargus will be going after this marathon Chapter on the Chicago Convention? (Or maybe you really aren’t wondering.) At this date I am not really sure myself. I do have some really great ideas, which change from minute to minute, but the next Chapter will certainly be off on some Tangent about some more Trivia. 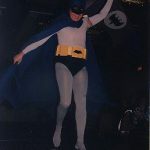 This entry was posted in Issue 9 (May/Jun), Tangents and Trivia and tagged aka, Chicago, convention, history, tequila.